Anyone can grow herbs, whether you have a full-fledged vegetable garden or just a sunny balcony. An herb garden requires only sun – everything else, such as soil and water, comes as an easy addition. Many herbs grow just as well in pots as in the ground. The usual rules for growing plants in containers apply for herbs. Choose a deep container rather than a squat one. All roots love to grow down, and the deeper the root system, the bigger the above-surface growth. Use a soilless potting medium that provides adequate drainage. (These mixes typically consist of half sphagnum peat moss and half perlite or vermiculite, and you can find them at your local garden center.) Cover your container’s drainage hole with a piece of old window screen or potsherd, and add your potting mix. Now, plant away. You can plant both annual herbs and perennial herbs in containers, but neither will likely survive through the Illinois winter. Why grow herbs? I’d say most home herb gardeners also fall into the category of home cooks who want the freshness and convenience of popping outside to snip off what they need. 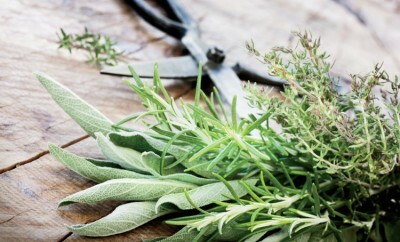 Some grow herbs for their strong scent and still others for their medicinal value. 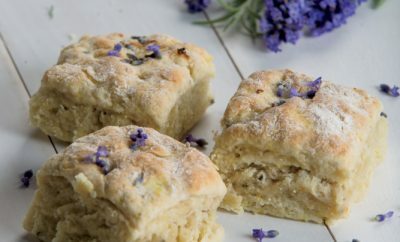 If a plant’s botanical name contains the word “officinalis,” it has, or did have, a medicinal use. A word of caution here: Dose determines the poison. If ingesting anything you grew, you need to be positive about the dosage. Many medicinal plants become dangerous with dosages too large or prepared the wrong way. Me? I’m sticking to the culinary herbs. My favorite herb, basil, grows as an annual in Illinois. It craves direct sun and warmth. In fact, the first light frost in October turns it black and slimy. If you want to save it inside for a few extra months of enjoyment, grow a second plant in a pot on the porch as a houseplant. It won’t grow as large as your full-sun basil, but it will better handle the transition indoors. In the house, the basil will slowly fade in color and the leaves will become papery and thin until it no longer adds the scent and flavor you desire. 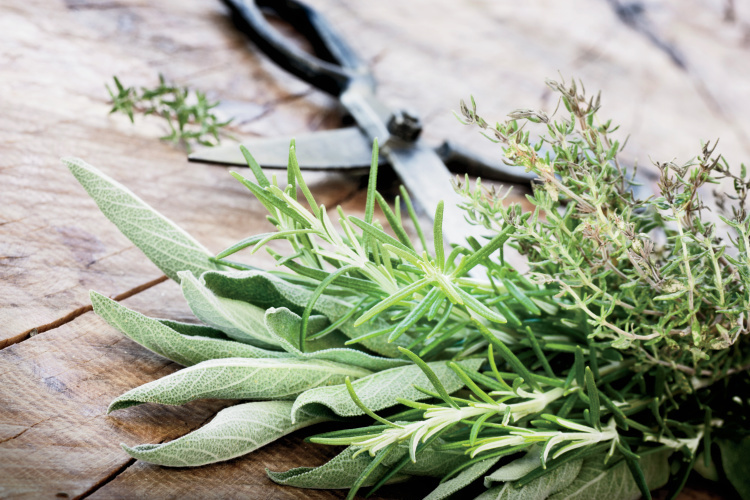 Rosemary, another easy-to-grow popular herb, defies being grown as a houseplant. To survive the winter, it requires two mutually exclusive conditions found in most modern homes – bright light but cold temperatures. Instead of trying to overwinter herbs indoors, preserve them by drying or freezing. A University of Georgia study found success in drying herbs at low temperatures. The herbs dried in a greenhouse with forced air at 104 degrees retained more potency than those dried in an oven at 158 degrees. I’ve had luck preserving small leaved plants like marjoram and thyme in ice cube trays with a little water to hold them together. Once frozen, just pop them out into a freezer bag for easy access next winter. You can easily find herbs in spring and summer as either seeds or transplants. Bon growing, and bon appétit. My blue hydrangea is blooming pink. How do I turn it back to blue? This is a common problem. Your soil is not acidic enough. Add aluminum sulfate to the soil by following the directions on the package. How deep should I make my mulch? I recommend 2 to 4 inches. Anything less than 2 will let some light through to the soil surface, plus weeds can easily grow through that depth. More than 4 inches risks not allowing enough oxygen through to maintain healthy soil conditions.